This will be a two day event at a historical society in Caledonia, WI. This will be a first time event for us. We will most likely be bringing the museum set-up, once again focusing on the pre-industrial era of coal mining (roughly 1890 to 1940s). Coming up in about two weeks on February 3-5, we’ll be attending Reenactorfest on Saturday the 4th for a few hours. We won’t have a set-up, just doing a day trip. November 11, 1918 / November 11, 2011……in Memory and Honor of the 10 million men killed, 20 million wounded in the senseless and unncessary waste that was the Great War (1914 – 1918). This is the first Veteran’s Day commemoration since the death of the last combat veteran of the Great War. Memory has now become history. I’d like to thank my great-grandpa, whom fought in the Great War and all the men and the women in today. 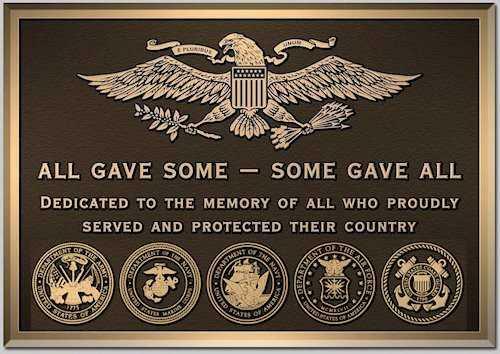 Thanks and a great big thanks to all the vets. It’s your day. Features re-enactors from the 1700’s through settlement, the Civil War and beyond sharing history with visitors – fur trappers, buckskinners, and soldiers. No admission charge for this family friendly, educational and fun event. Posting something other than our normal historical posts. These are some examples of our “museum” that we will sometimes bring out with us at events. A majority of the items presented came from Southern West Virginia and Kentucky. Most items date from roughly the 1880s and into the 1940s since we also discuss parts of the miner’s daily lives vs. just exclusively on the Battle of Blair Mountain, itself, because it is important to remember the context of the times that these men and women lived in. Be sure to like us on Facebook! Here you can see photographs of our reenactments and other things exclusive to the group page! Our first event will be held on August 26th-28th at the West Allis Historical Society in Milwaukee, WI. This falls on the exact 90th anniversary of the march on Blair Mountain in 1921. This will the first public event that the Reenacting Society will be attending after nearly a year of pre-planning. North Greenfield Country Store: A replica of a turn-of-the-century general store. Normally I would establish a more formal website for reenacting purposes, but I want to try out WordPress for a change. Anyways, I have an interest in reenacting the largest armed class conflict in US history. Since this year marks the 90th anniversary and the site is in danger of being literally blown to Kingdom Come, I think that we, as reenactors should help spread the word of this important event in US labor history. Blair Mountain in Logan County, West Virginia, was the site of the largest open class war in U.S. history. 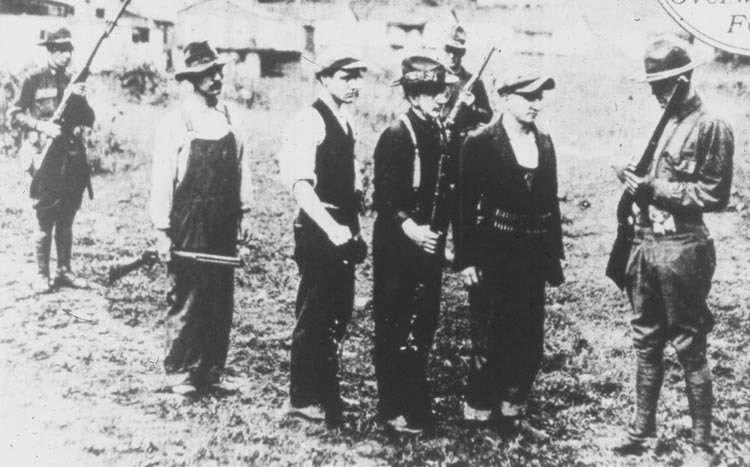 In 1921, after a generation of violent suppression and exploitation of the people in the southern coalfields of WV, 15,000 coal miners rebelled in an attempt to overthrow the control of coal barons. They met the anti-union forces of the coal-operator army on Blair Mountain and the surrounding ridges. The battlefront was roughly 15 miles long, and more than one million rounds were estimated to have been fired over the course of the five day battle. Both sides were heavily armed with machine guns, high powered rifles, and explosives. The anti-union forces even employed airplanes for reconnaissance as well as for dropping homemade bombs on the miners. With the battle raging in the hills and hollows around Blair Mountain, federal troops were called in and were able to peacefully stop the conflict without a shot fired. The miners dispersed and went back to their homes, and the news reporters returned to their editors. The battle received above the fold coverage in major newspapers of the day, including the New York Times. But soon, the battle faded into obscurity, and over time has been largely forgotten.